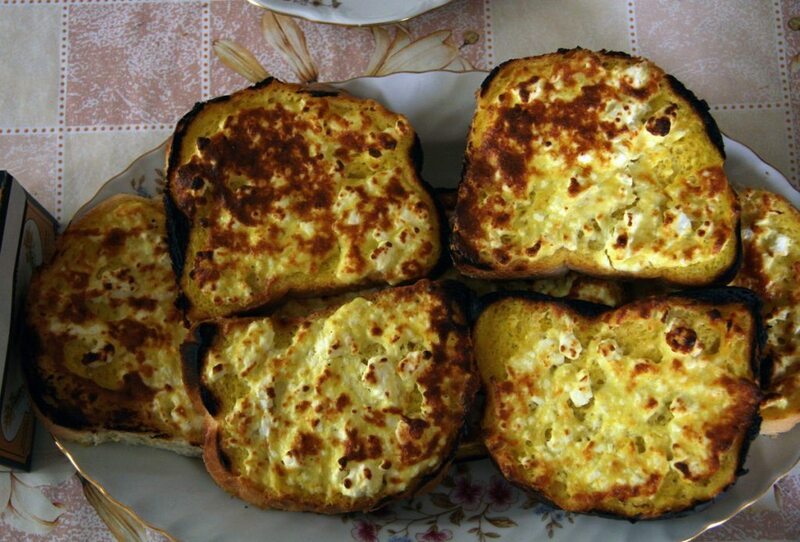 Breakfast of ‘Fired toast’, the specialty of our village host, Mrs Silver, who regularly accommodated visiting artists. She was the wife of the former Bulgarian ambassador to Poland in the 1970’s. Bela Rechka, Bulgaria, 2008.